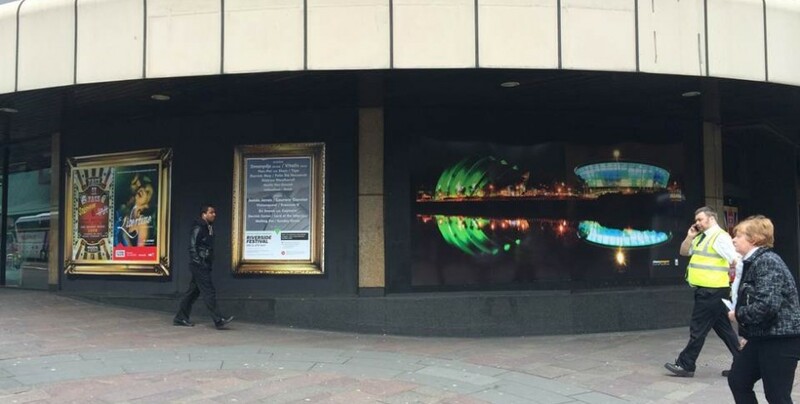 The Poster Associates recently completed a significant make-over of a highly visible vacant shop-front opposite Glasgow’s Central Station. 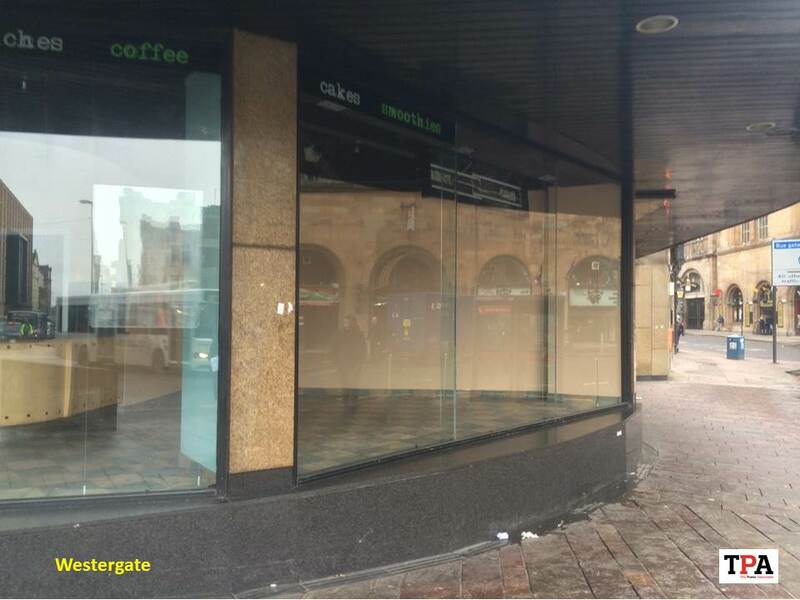 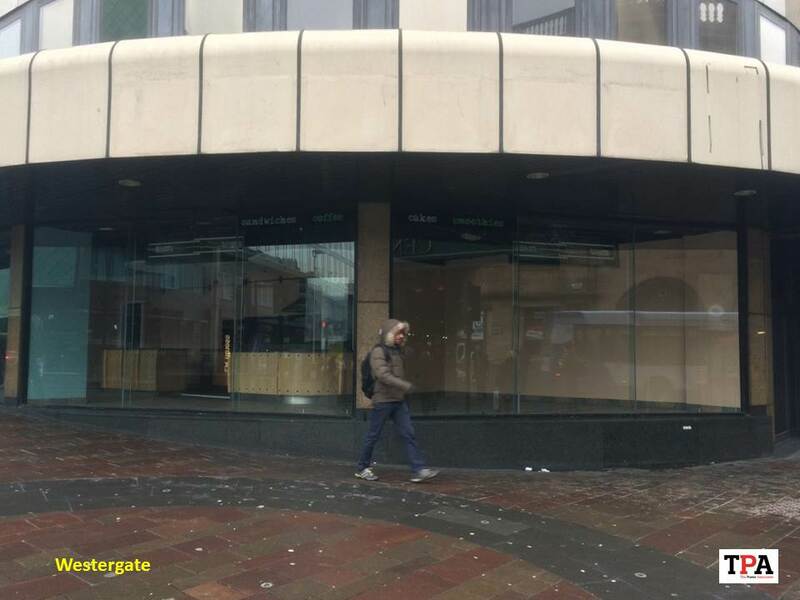 Due to an overhanging canopy and an extended low level window ledge, the Westergate building shop-front had become a loitering hot spot and the glass frontage in particular was prone to damage. 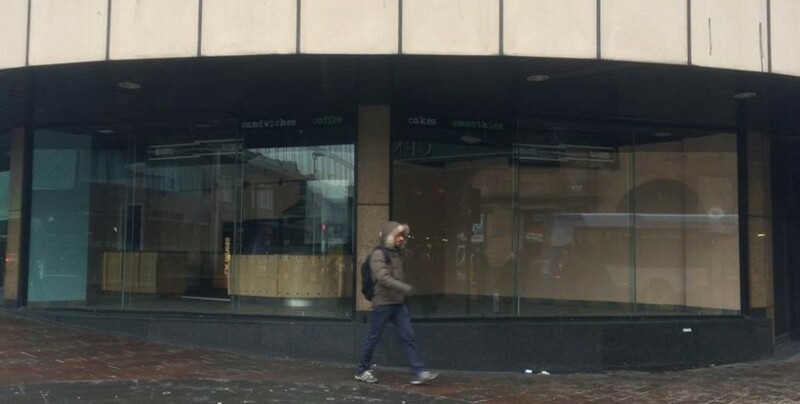 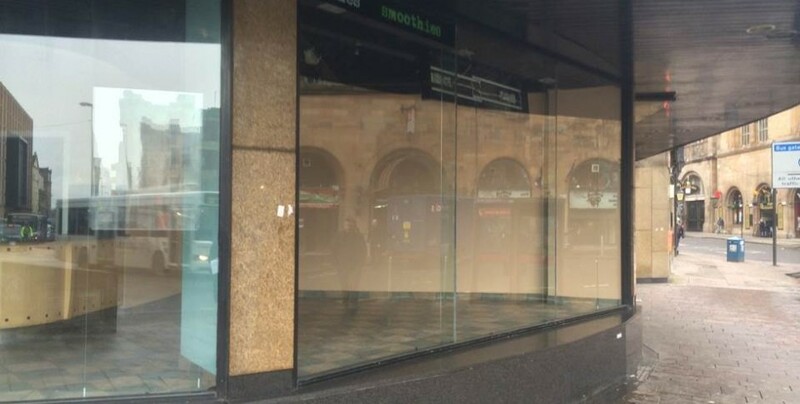 The unit was degrading the streetscape in an area of Glasgow’s city centre which sees significant foot traffic from visitors, workers and shoppers. 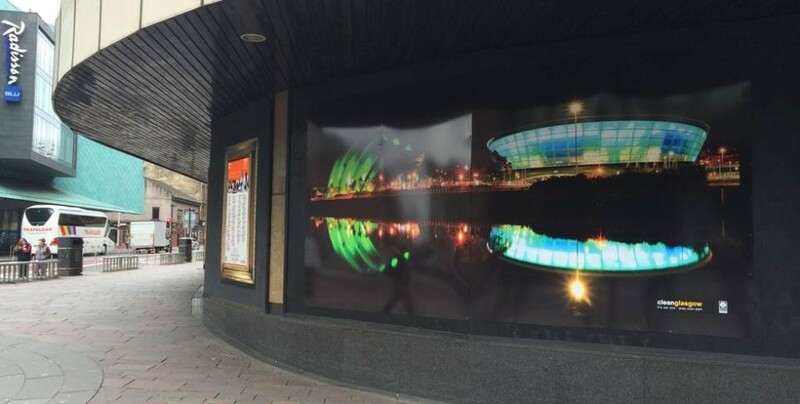 • On part of the shop-frontage we introduced beautiful and atmospheric shots showing two of Glasgow’s iconic modern architectural gems. 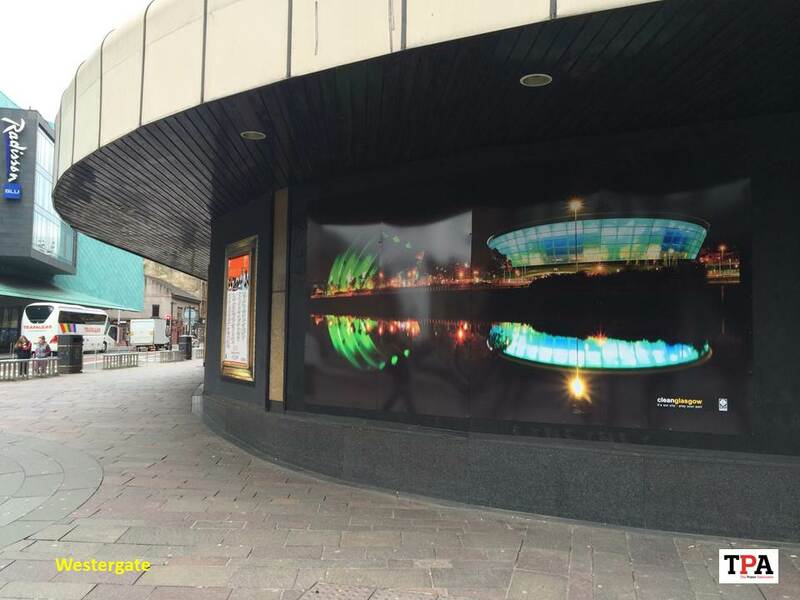 Norman Fosters ‘Armadillo’ and ‘Hydro’ performance venues. 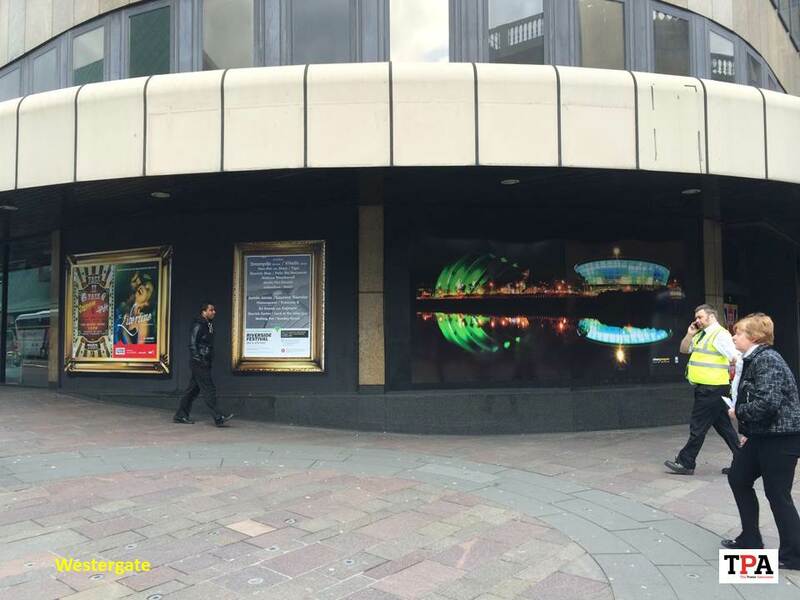 Importantly the Westergate location is on a a natural thoroughfare for audiences walking from Central Station to both venues. 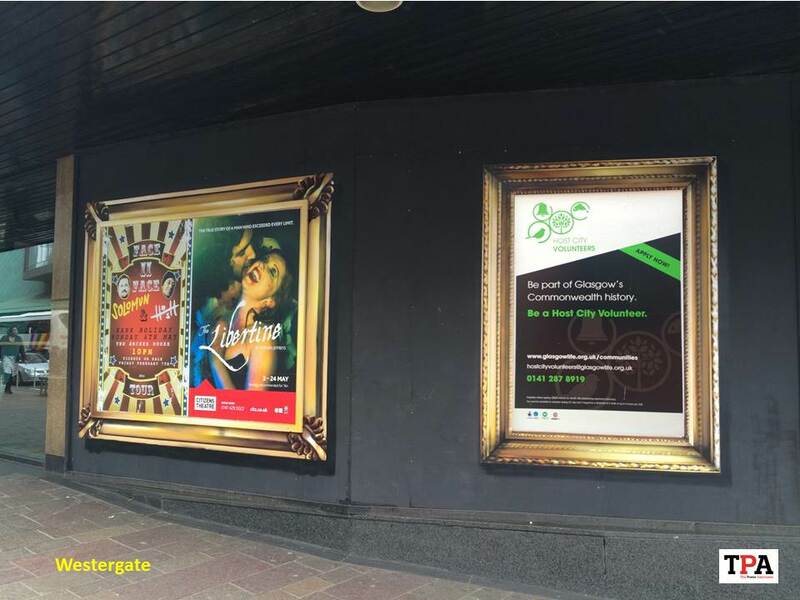 • By implementing TPA’s Duty of Care, we’ve ensured the property remains free of illegal fly-posting and graffiti. 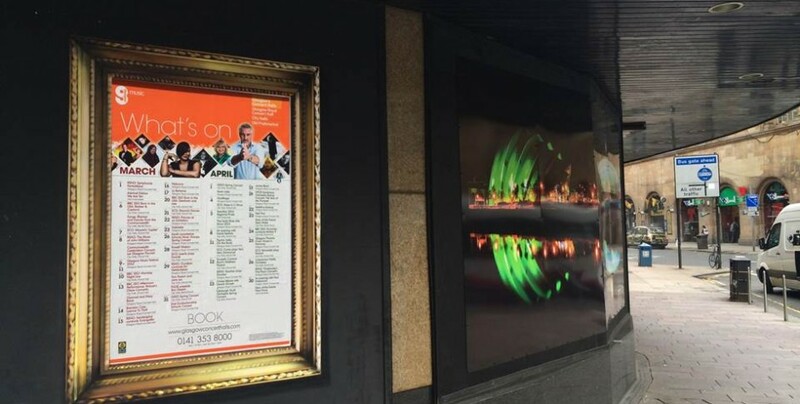 This project is another clear ‘win win’ for TPA and our partners. 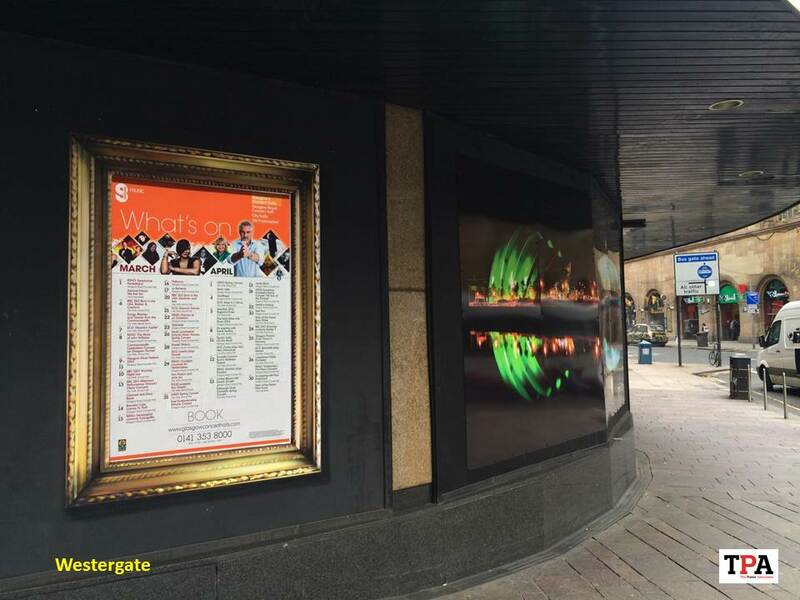 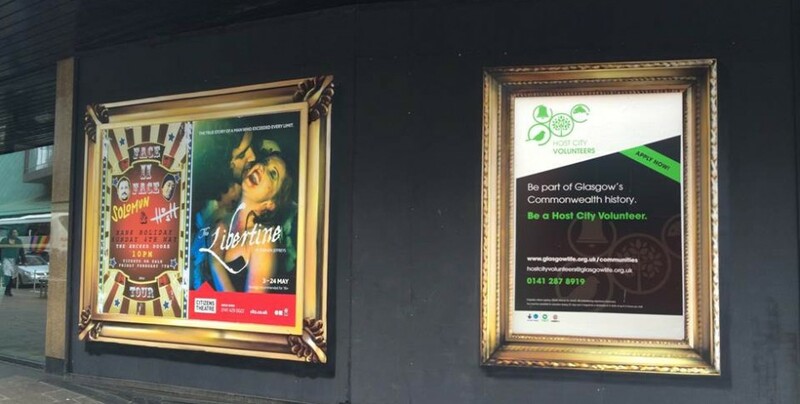 By transforming a distressed shop-front we’ve hopefully shortened the landlord’s vacancy cycle and, by profiling two of Glasgow’s key performance venues along with event-led advertising on our poster scheme, we’ve enlivened the location and informed passing traffic about what’s on in Glasgow.